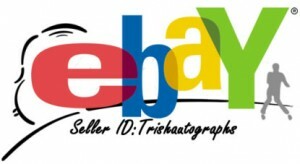 Trish Hessey Autographs will begin selling memorabilia on EBay under the seller ID of Trishautographs. “Although the majority of our autographed items will remain solely on our store front at Trish Hessey Autographs, we cannot ignore the popularity and convenience of EBay to list items that need the extra exposure”. There will be many items posted for auction and at the alternative format of “Buy it now” or best offer; many of these pieces of memorabilia will be listed on our store front as well. “All autographed memorabilia sold on EBay will come with a COA from Trish Hessey Autographs just as it would if purchased directly from the Trish Hessey Autographs Site”. If you shop on EBay for autographed memorabilia, you are wise to be vigilant about the validity of an item and the COA that comes with each item, but when purchasing items listed by Trish Hessey Autographs, you get more than a piece of paper, you get Trish Hessey’s word! A name you have come to trust! From 1996 thru 2004 Trish served as Director of Corporate Sales and Acquisitions for Odyssey Group, Inc. /Collector’s Universe, a leading dealer of autographs and historical documents. During her tenure, Trish bought and sold many millions of dollars of authentic autographs and developed a knowledge and reputation for expertise and customer service virtually unparalleled in the industry.